Get back to Nature! 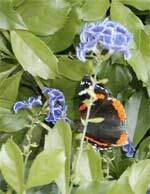 We've got birds, butterflies and plants you just won't find any where else. Follow these links to learn more about the flora and fauna that make this area so special and a favorite for ecotourists. Discover the spectacular diversity of nature which South Padre Island has to offer. Founded by the inspirational Ila Loetcher - aka "The Turtle Lady" - the organization is still rescuing sea turtles and educating young and old about these endangered creatures. One of the most spectacular convergences of birds on Earth. Come visit the Lower Rio Grande Valley of Texas -- where history, culture and spectacular natural diversity combine into one unforgettable nature adventure. At the southern tip of the world’s longest barrier island, South Padre Island Birding and Nature Center is a spectacular introduction to a world-class destination, and a doorway to all this vibrant sand, sun, and surf hotspot has to offer. A slender thread of land between the shallow Laguna Madre and the rolling Gulf of Mexico, South Padre Island anchors the World Birding Center with nature adventures in every season. Articles, checklists, maps and extensive links for people interested in birds, butterflies, herbs, wildflowers and environmental conservation in south Texas. On South Padre Island, nature lovers and wildlife enthusiasts will appreciate and enjoy the last 34 miles of ecologically significant and unspoiled beaches and sand dunes along the Gulf of Mexico. These companies all offer Dolphin Cruises as well as a variety of other excursions such as snorkling, fishing, bird-watching, etc. Please visit their websites for details.